I am smitten with Smitten Kitchen. Usually on Sunday night I will make a chicken entree. It started with roasted chicken, great comfort food which everyones loves. 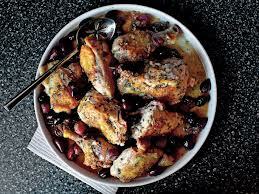 Recently while at a friend’s house for dinner we enjoyed the harvest roasted chicken with grapes and olives. The combination of sweetness from the grapes and saltiness from the olives with rosemary is out of this world. I was aware of Deb Perelman before, however, never had tasted or cooked any of her recipes; now I am hooked. I have since made the recipe a few times. It is great for entertaining. Make some mashed potatoes or polenta, add a veggie and you have an amazing dinner. For dessert I made stewed berries served over vanilla ice cream topped with granola. I wrote a post about the stewed berries last June. To read the post or get the recipe click here. As I mentioned in another post this January, I listed the blogs I am going to follow in 2013. To read the post, Blogs I am Going to Follow in 2013, click here. Smitten Kitchen was one of those blogs. 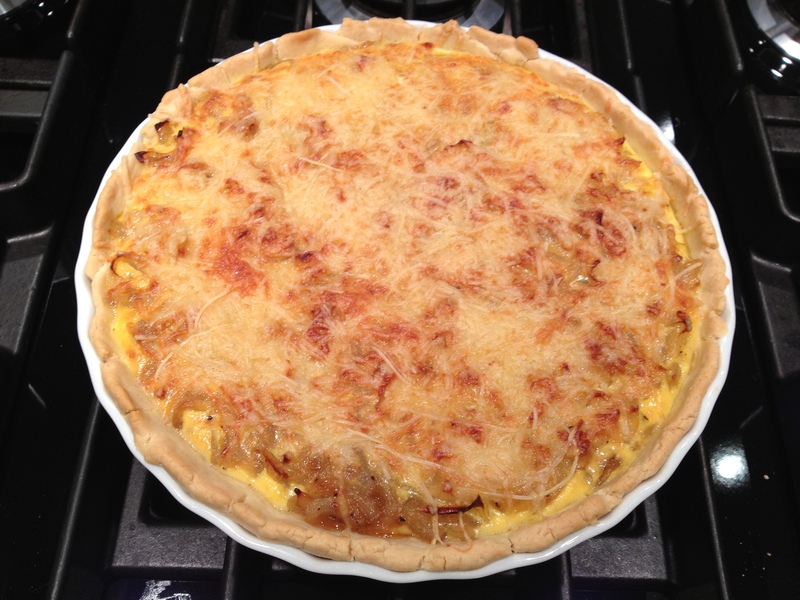 Last week Deb Perelman posted an onion tart recipe. I made it tonight and it was divine. Do you follow any cooking blogs? What are your favorites? Ohhhh! I’ve been staring at that onion tart for the past few days. Glad it’s as tasty as it looks — I’ll have to give it a shot soon. The first SM recipe that I tried was for her buttermilk raspberry cake 3 years or so ago. It’s amazing! I make it every summer. Thank you for the suggestion. I will try the buttermilk raspberry cake. It sounds amazing. Have you made the chicken using breasts only? My fam isn’t too fond of the other parts. Going to make it soon. I have not but I am sure it would be delicious. I would cut the breast in half so the sauce can really saturate the meat. Good Luck and let me know what you think.